Lambeth Palace is the Archbishop of Canterbury’s official residence. The Convent of St Andrew of Rochester sold part of the Manor to Archbishop Haldwin of Canterbury in 1190. Archbishop Hubert Walter bought the rest of the Manor in 1197 and built a house by the river roughly opposite the Palace of Westminster. This house was for his canons and he built his own house next door. Details of these early buildings are very scarce, it is known that there was a chapel by 1228 whose vaulted crypt still lies under the current chapel. During the peasants revolt of 1381 the rebels ransacked the palace, burning books and furniture. Simon Sudbury, the Archbishop, fled to the Tower of London but was followed and killed. Archbishop Chichele built a water tower In 1434-5. This tower was and still is called the Lollards’ Tower as it is said that the Lollards were imprisoned there. In the 1480s a gatehouse was built and it was from this gatehouse that the local poor received charity three times a week. This charity, usually food, continued until 1842 when it was replaced by cash grants. Thomas More was questioned in the Guard Room of Lambeth Palace by Thomas Cromwell in 1534. The palace was refurbished by Queen Mary in 1553. 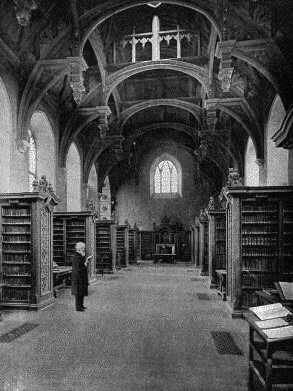 The current library owes much to Archbishop Bancroft who in 1610 left his library to his successors. Archbishop Laud restored the chapel in the 1630s. This Archbishop was attacked by 500 London apprentices in May 1640, but he escaped to Whitehall. The diarist John Evelyn records that another attack took place in June.During the Civil War the palace was commandeered by the state for use as a prison. After the Restoration the palace and the manor reverted to the Archbishop and repaired. The Gordon Rioters surrounded the palace in 1780 but did not manage to get in. During the late 1820s and early 1830s there was a major rebuilding and restoration exercise led by the architect Edward Blore. The palace boasted several portraits of past Archbishops, many by leading artists including Holbein, Hogarth, Van Dyck and Reynolds. 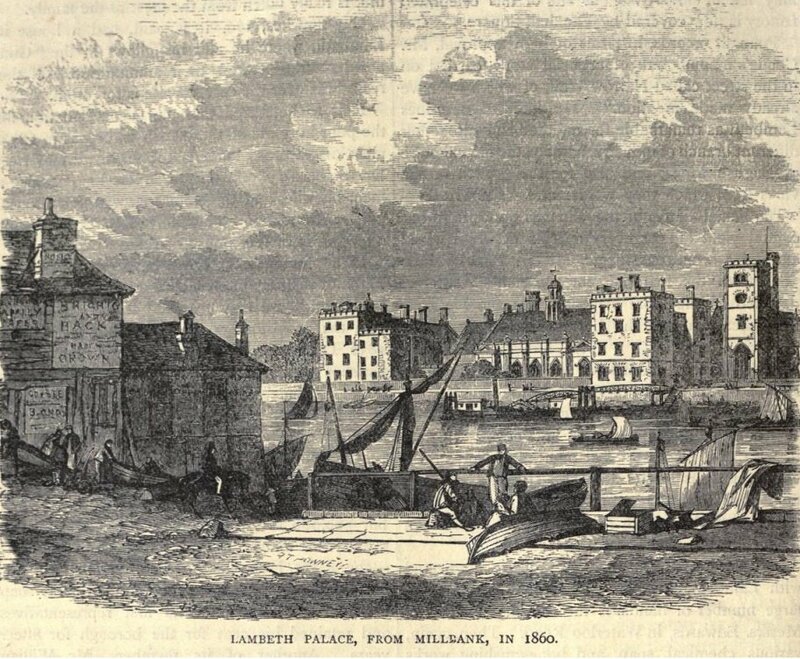 In 1867 the first Lambeth conference was held, and it has been held roughly every 10 years since. The conference is attended by Anglican bishops from throughout the world. In the late 19th century the Archbishops of Lambeth allowed local children to play in parts of the grounds of Lambeth Palace. In 1901 the 20-acre Park was formally opened to the public. It still belongs to the Archbishopric but is managed by Lambeth Borough Council.